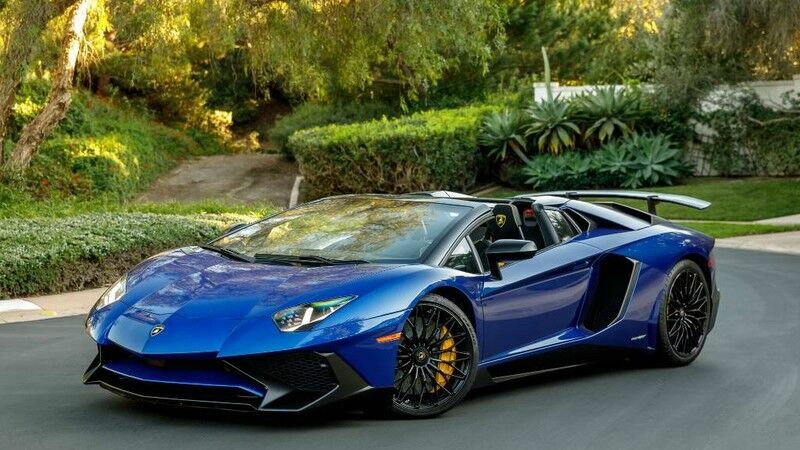 This amazing 2017 Lamborghini Aventador SV is like new with only 1k miles. Lamborghini 's 6.5L V12 engine produces an impressive 740hp and is combined with a 7-speed automatic transmission and all-wheel drive, providing mind-bending acceleration as well and handling! You're sure to enjoy cruising with the top off, radio up and the sounds of this powerful V12 screaming in high gear. Wheels: 20" Front & 21" Rear Alloy -inc: Rim width: 9"